Under the direction of the Commission on Archives and History, the Ruth K. and Charles T. Thrift, Jr., Florida United Methodist Heritage Center is the official repository for the archival materials owned by the Florida Conference of the United Methodist Church. 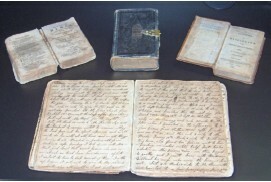 Its mission is to collect, preserve, and make available materials that document the historical development of The United Methodist Church and its predecessor denominations in Florida from 1822 to the present. The archives collection is housed in the Sarah D. and L. Kirk McKay, Jr., Archives Center located on the campus of Florida Southern College in Lakeland, FL, on the corner of Frank Lloyd Wright Way and Johnson Ave. The building, which was completed in 2009, is a state-of-the-art facility with a secure and controlled environment for the preservation and display of historical records. 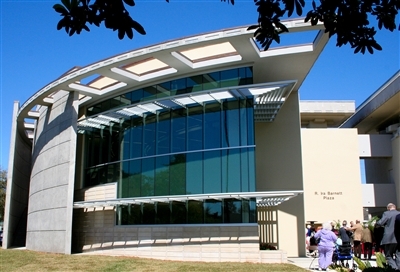 The Heritage Center is named for Dr. Charles T. Thrift, Jr., president of Florida Southern College, 1957-1976, and author of the first history of the conference, and for his wife. In addition to the Florida Conference Archives, the building houses the Florida Southern College Archives, the Frank Lloyd Wright Collection, the Florida Citrus Archives and Hall of Fame, and the Lawton M. Chiles, Jr., Center for Florida History. The archives are open to all, especially conference agencies, local churches, and individuals interested in historical research. 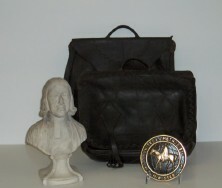 Materials do not circulate but are available for use in the building under the supervision of the archivist. Because of schedule variations, prior arrangements are strongly recommended. Research requests may also be made by email, telephone, or letter. Genealogists are welcome to use the collections. It should be noted, however, that genealogy is not a priority mission, and the collection is not built for this purpose. 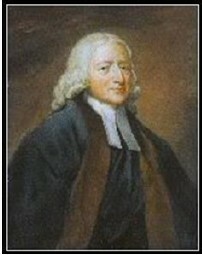 Nevertheless, some church records are useful in genealogical searches. Visitors are welcome at any time to see the exhibits. The archives welcomes contributions of suitable records and memorabilia, but please inquire in advance before bringing materials to the Heritage Center. Donors will be asked to sign a gift agreement. For further information or to set up an appointment, contact Nell Thrift, archivist, at thriftmail@aol.com or 863-680-4992.